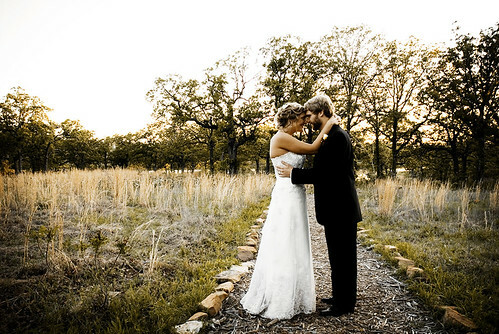 Hosting a successful outdoor wedding really comes down to finding the perfect venue. But with so many beautiful outdoor wedding venues to choose from how do you decide which one is just right for you? Whether you're after a private estate nestled in spectacular woodland, a mountaintop castle overlooking a majestic lake, or a sandy beach with an ocean view, we've got some top tips to keep in mind when the time comes to select an outdoor wedding venue for your big day. One of the biggest concerns for any bride and groom to be planning an outdoor wedding is by far weather. Where most couples only have to worry about the usual wedding palaver, those of you opting for an outdoor shindig will have the added stress of the not knowing whether your dream wedding will quite literally be rained off! Are you tying the knot in spring, summer, fall or winter? Seasonality will play a major role in weather conditions. If you're planning an outdoor wedding in the height of summer, extreme heat and humidity may cause your guests to melt, whereas a winter wedding could end up being accompanied by the sound of teeth chattering. Choose an outdoor wedding venue that has natural areas of shade in the form of trees or you can create shaded areas with the use of a tent. Throw in some fans, ice cold bottles of water and of course sunscreen and your guests will be cool and comfortable. For colder months try portable heaters and lap blankets or shawls. Wind is not your friend. Avoid light, flowing fabrics such as chiffon for your wedding dress and bridesmaids unless you’re planning on embodying Marilyn Monroe. Also be sure to notify your hair stylist and make-up artist that you’ll be having an outdoor wedding so they can plan a style that won’t leave you looking like you’ve been dragged through the bushes! If you're getting married at a particularly windy time of year try opting for a venue that is fairly sheltered, protecting you from any major gusts that may be headed your way. Wind can be lethal so for those of you featuring a tent or marquee, double check that it is up to the job and isn't going to end up somewhere in Oz! 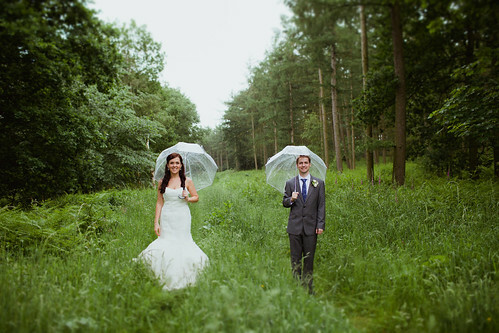 Every bride and groom fears rain ruining their big day, outdoor wedding or not! Don't sweat it. Chances are you've purposely planned everything to ensure the minimum likelihood of rain. A small shelter in place of the alter will more than suffice to keep a light shower at bay, couple that with some umbrellas and you'll have nothing to worry about. One of the biggest bonuses of opting for an outdoor wedding venue is the natural beauty of your chosen location. Who needs a bunch of fancy decorations when you've got jaw-droppingly beautiful ocean views, dramatic mountainscapes and stunning sunsets? With that in mind when in the market for your outdoor wedding venue look for a location that stands out for its gorgeous surroundings and setting. Be it rolling hills, rocky mountains or exotic gardens, pick a naturally beautiful venue and its good looks will take care of all the hard work for you. When it comes to decorations this is the mantra you want to stick to: simplicity is key. If you do feel the need to supplement your venue with additional decorations, keep it to a minimum. Potted plants, lanterns, strings of lights for the trees, and an arch or trellis to add focus to the ceremony space is usually enough. 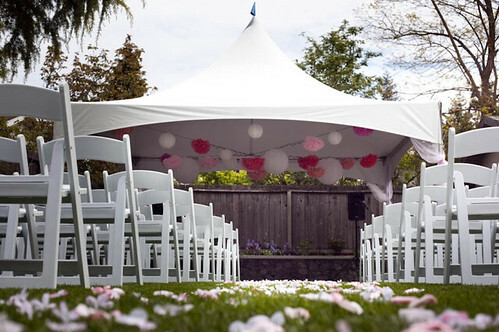 Despite needing minimal decor for you outdoor wedding venue you will want to ensure that the site is well prepared, whether that means raking the leaves, mowing the lawn, or checking if bulbs have bloomed. These kind of tasks should be carried out approximately a week before the wedding, and possibly again on the morning of the event, depending on you venue. Speak to the vendor about whether this is included with the package, if not then that's what friends are for right? What direction will the sun be facing during the time of your ceremony? 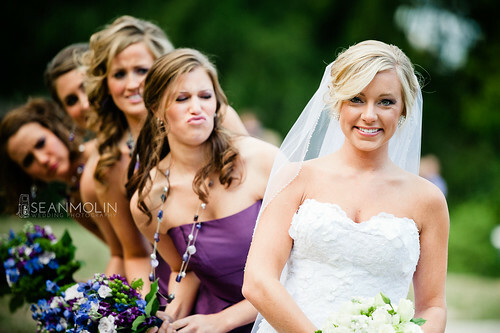 Will your guests, wedding party or officiant be blinded? If you're planning a daytime wedding, make sure that your venue offers the option to orient your ceremony so the sun is on guests' backs rather than in their eyes. If you're hoping for an outdoor wedding ceremony or reception that will take place in the evening select a site that offers sufficient light. Large open spaces are ideal for maximizing light, as are those that feature lamps or strung lights so you're guests can move around safely. Can everybody in the back row hear? When fantasizing about your dream wedding on the beach we're guessing that you're not hearing the sound of the waves crashing on the shore, or the squeals of excited kids running around when exchanging your vows in one of the local parks. Your guests are going to want to hear what's going on. Even if there isn't any apparent distractions, assessing the distance between where the guests will be seated and where you will share your vows is paramount. Ask the venue how couples have dealt with this in the past, they may be able to offer some valuable insights. 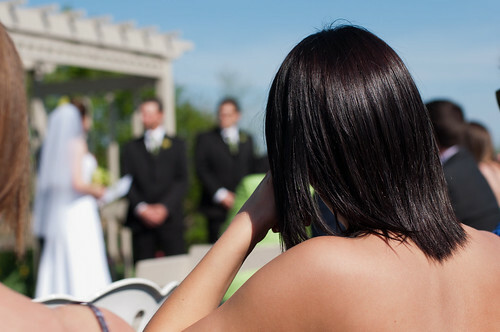 If you're still worried about people missing out, look into utilizing media equipment such as clip mics for both the bride and groom, and the officiant. If you've organized a DJ or band, they may be able to help you out in this department. Check out the aisle that you will have to walk down to ensure that it is safe and that the terrain is even. Tripping in front of all your friends and family is not fun, nor is getting stuck in the grass with your stilettos. How nearby are the restrooms? Will you need to bring in portable facilities? How will the lack of facilities affect guests with special needs (i.e. wheelchairs, etc.)? What outdoor seating is available? Are you responsible for renting your own chairs? If you have to provide all your own seating, are you free to place it where you see fit, or are there any regulations to take head of? Is the site prone to certain critters at any given time of the year? This is a question you need to ask potential vendors and you also need to be dead clear that you want a straight up response. The last thing you want when leaning in for your first kiss as husband and wife is a swarm of mosquitoes or black flies trying to get in on the action. You may have fallen head over heels for a certain venue, but if your wedding is going to crashed by less than welcome guests due to the time of year, it may be worth reconsidering your desired venue as these pesky critters can be real party poopers. If you're choosing to go with a registered vendor for your outdoor wedding, the question of permits won't be an issue, and that's one less thing to worry about! If not, you will most likely need to get a permit for your event. Your local governing body or city park department should be able to help here. Be sure to also find out about the rules concerning trash removal, torch and candle lighting, music(noise) and pre-wedding photography. Outdoor weddings are unpredictable, unfortunately it's the gamble you take when putting your faith in Mother Nature. 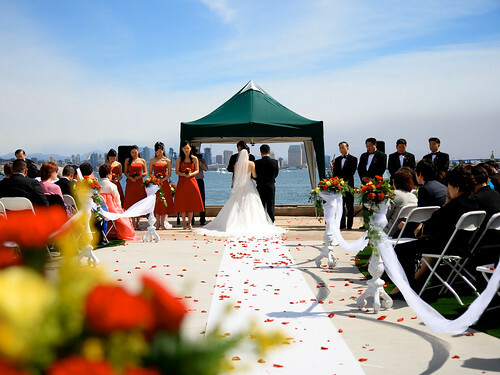 The ideal outdoor wedding venue should have an indoor location on standby just in case of emergency. 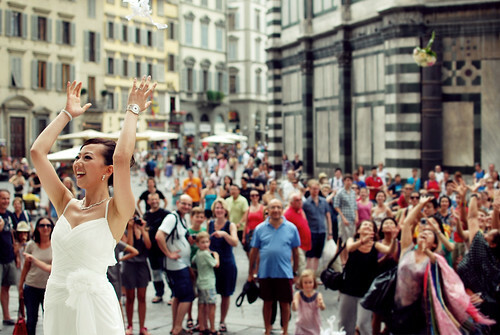 Don't let unpredictable weather put you off when considering an outdoor wedding though. There are plenty of backups you can put into place to avoid disaster, and most venues will be more than happy to offer creative alternatives if the need arises. Try not to stress over that which you cannot control. Even if you have your heart set on an outdoor wedding, get comfortable with the fact that your wedding may need to be indoors. Above all else, this day is about you and your soul mate exchanging something truly sacred, and it ultimately doesn't matter whether you say your "I do's" outdoors or indoors. What does your dream outdoor wedding venue look like?